A wonderful opportunity to get close to whales and dolphins in their natural habitat in the Strait of Gibraltar. This is the area of sea where the Atlantic Ocean and Mediterranean Sea meet, in the narrow space between the southermost point of Spain, and the African continent. Because this stretch of water is only 9 miles wide at its narrowest point, the concentration of cetaceans is very high, especially towards the middle. It is about three miles offshore that you find the larger creatures, such as the Fin Whale and Sperm Whale; they are often heading in a westerly direction. The prevailing surface current is easterly, and the cetaceans may be just swimming against the current flow, rather than travelling out of the Strait. You can see these animals in this area of ocean throughout the year, in their natural habitat. Tour operators offer fun, informative trips for all ages and at reasonable prices, with live commentary to explain the behaviour of these fascinating mammals. TURMARES TARIFA S.L. (an acronym of Turismo Marítimo del Estrecho), has been running Dolphin and Whale watching trips in the Strait of Gibraltar since 1999. Andalucia.com offer you the opportunity to book you whale and dolphin watching trip from our page below directly with Turmares Tarifa SL. Several times a day we offer a two hour dolphin and whale watching tour. July and August: 35 € for adults, 22 € for children, 10 € for infants. Once or twice a day from July to Septemeber we offer a three hour Killer whale (Orcinus orca) Whales and Dolphins tour. July to Septemeber: 50 € for adults, 30 € for children, 10 € for infants. Up to 7 species of cetaceans can be found in the Strait of Gibraltar. There are 4 resident species that live in this area the whole year, these are the common dolphin, the striped dolphin, the bottlenose dolphin and the pilot whale. Other species as the orca, the sperm whale and the fin whale can be seen in this area depending on the season of the year. At least one species is sighted on 95% of the trips, if not Turmares offer you a second excursion free. On the 'Killer Whales and Dolphins' trip there is a 70% chance of seeing Killer Whales, if not you may have a 30% discount on a second trip and as stated, if no species are seen Turmares offer you a second trip for free. All the passengers will receive a "watcher guide" with information about the common whale-and dolphin species in the Strait of Gibraltar. There are also various booklets and posters on board with more detailed information about the cetaceans, birds and the ecosystem of the Strait. On board you will be accompanied by a Biologists Guides and marine science or biology university students. All trips start from Tumares Tarifa. 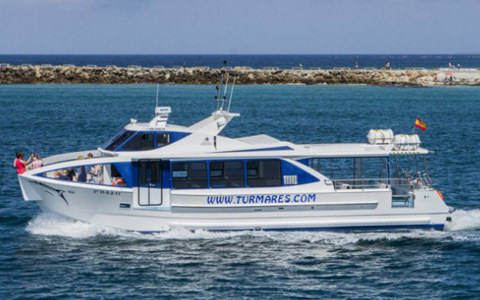 Passengers should report to Turmares office located at Avenida Alcalde Nuñez, 3 (located just outside the entrance to Tarifa Port) for briefing 30 minutes before the sheduled departure of the trip. It is recommended that you bring along a warm and waterproof jacket, sun protection, hat and comfortable shoes as well as medication against seasickness. Turmares SL has achieved the following Certifications: Environmental and Quality Management (ISO 9.001 and 14.001). Junta de Andalucia Tourism business registration EN/CA/00026, Andalucía Natural Parks Green Label. A copy of the Turmares SL Insurance certifícate is available on request. JK-Jackelin accomodates up to 160 persons. Colour coded blue below. Ample and comfortable with a salon with underwater glass vision pannel. Facilities include male and female toilets, bar, video screens, pa system, proyector for audio-visual presentations, wheelchair access ramp, covered upped deck with outside seating. Pirata de Sálvora accomodates up to 62 persons. Colour coded green below. The newest whale watching boats operating in the strait, a smaller craft that is ideal when the sea conditions are stronger. This is a fast boat suited for finding the Orcas which are often located a little way away from Tarifa. This craft does not have a bar service, so bring you own cold drinks. We update the table below with colour codes the sea conditions predicted for the next few days. Check back ahead of your trip. Orange is choppy, read the note below and telephone the Turmares office for the latest news on 956 680 741 or 696 448 347. Red is rough, the trip is cancelled. Contact the Turmares office to rebook on a different day or organise a refund. The final confirmation of the trip can only be made in the morning of the trip after analyzing the weather conditions. Either check the status below or call Turmares office on 956 680 741 or 696 448 347 or 696 448 349. 1) Click on the date on the calendar below that you which to book you trip. 2) Choose the trip that you are interested in by clicking on the 'Book button'. 3) Complete the form with your details and the number of passengers. Don't forget to select the prefered language for the tour. The form below calculates the total cost in euro. 4) Confirm the reservation by clicking on the 'Book' button. 5) Complete you credit card details with either BBVA bank or paypal and confirm payment. 6) Your reservation confirmation will be sent to your email address. If you have entered a mobile phone number a reminder text will be sent to you on the morning of the trip. Print the reservation and present it on your arrival at our offices in Tarifa Marina. If you have any questions, contact Andalucia.com by email contact@andaluciaws.com or by telephone +34 952 897865 during office hours Monday to Friday 9:00 to 14:00 hrs and 15:00 a 18:00 hrs. Thanks for you interest in this tour. Have a great trip. Data Protection. Your data will be incorporated in a file of which Turmares Tarifa S.L. 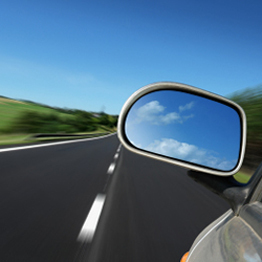 are responsible in order to provide the service contracted. You have the right to access, rectify or be deleted from this file by contacting Turmares Tarifa S.L., Av. Alcalde Juan Núñez 3, 11380 Tarifa (Cádiz), or by email to turmares@turmares.com, together with proof of identity. Andalucia.com SL does not retain a copy of this data.